A day ahead of Saul “Canelo” Alvarez’s doping hearing at the Nevada State Athletic Commission (NSAC) World Boxing Council (WBC) president Mauricio Sulaiman has told the media that he remains optimistic about the result of the hearing. Alvarez 49-1-2 (34) twice tested positive to banned substance clenbuterol in tests conducted in February. The dirty tests forced the cancellation on the May 5 rematch between the 27-year-old Mexican idol and unified middleweight champion Gennady Golovkin 37-0-1 (33). “We are optimistic about the results of this hearing,” said Sulaiman, who has backed Alvarez and his claims of tainted meat as the reason for the positive test results throughout this ordeal. 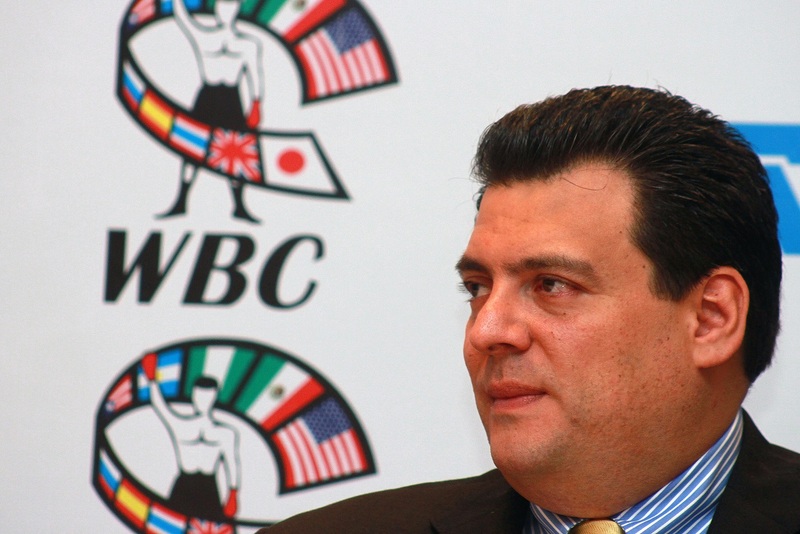 The Mexican sanctioning body will have a representative at the NSAC hearing on Wednesday. Alvarez won his first WBC title in 2009 when he defeated Marat Khuzeev to claim the vacant WBC Youth welterweight title. He has since won the WBC Silver junior middleweight title, the WBC junior middleweight title, the WBC Diamond middleweight title and the WBC middleweight title. While Alvarez’s immediate career hangs in the balance, Golovkin is still seeking a replacement boxer to face on May 5 as he and his team attempts to salvage the fight date. The current frontrunner for the assignment seems to be Vanes “Nightmare” Martirosyan 36-3-1 (21), a junior middleweight who has been inactive since losing a unanimous decision to Erislandy Lara in May 2016.